You may have heard about amateur or “ham” radio from a friend or maybe one of the members in your Makerspace is a ham. What is ham radio and what does it offer you? First, you’re a Maker, so you already have a lot in common with the ham radio community. Hams are tinkerers, builders, fixers, and inventors by nature. Opening the box (or building your own box) is not only allowed, it’s encouraged! Of the many radio services out there — from commercial broadcasting to CB to public safety — amateur radio is the only one in which equipment can be homemade and tuned to any frequency or channel that hams have access to. Flexibility, experimentation, and hacking are a way of life with hams. Ham radio has many facets — it’s actually 1000 hobbies in one. You can dive deeply into electronics, antennas, digital communications, public service, competitive operating, solar and geophysics science, world-wide “DX-ing, ” or just use ham radio as a personal communications tool. Some hams focus on just one or a few topics while others try to experience it all. As a Maker, you are probably most interested in the electronics, but once you start digging in, you never know where it might lead or where you can apply your skills. But what is ham radio really? Hams have access to the radio equivalent of national parks in which commercial activity is banned and only non-commercial operators (the “amateurs”) get to visit. Some of the parks or bands (frequency ranges reserved for hams) are the traditional “short-wave” bands you might think of when you imagine ham radio. Those bands have lots of activity, with hams making thousands of contacts worldwide every single day, sometimes with nothing more than a few watts of power and antennas made of wire. Other bands are best suited for local and regional communication around town and performing public service. Our bands go all the way to microwaves. 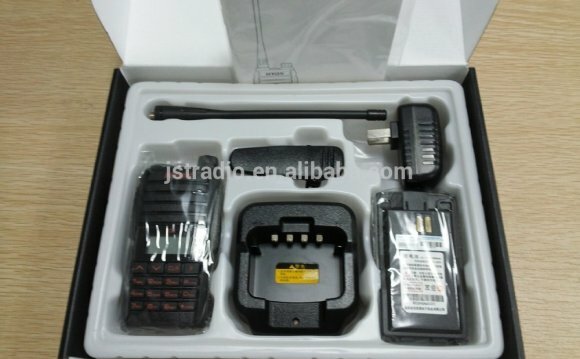 Where to buy Ham Radio equipment?